Round ten of the 2018 season sees the C3 WRC experience Turkey for the first time, a country where its elder sister – the Xsara WRC – secured the brand’s first win on gravel in the WRC and which will be hosting a world rally championship round for the seventh time. Citroen WRT will once again look to Craig Breen – Scott Martin, Mads Østberg – Torstein Eriksen and Khalid Al Qassimi – Chris Patterson to defend its chances. The team has certainly prepared well for this year’s rally with a three-day pre-event test in the Aude, reputed to have some of the roughest roads among the commonly-used test bases. They look to secure the team’s fourth podium of the season. “We’re expecting it to be hot this weekend. It’s going to be a technically difficult, demanding rally for the cars and that’s what we prepared for during our pre-event test in the Aude. I’m feeling pretty confident because I always produce decent performances on this kind of surface. And the C3 WRC is even more efficient and easier to drive than it was in Sardinia, which is the last event contested on similar types of road. We’re also going to be able to use some of the things we learned in Finland on this surface”, Østberg said. 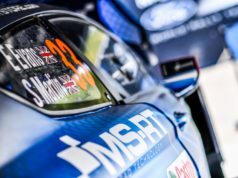 “If we manage to do that, we should be right up there, in the mix and well placed for the rest of the rally. It’s difficult to take any real information from the onboard footage recorded by the organiser in a production car. One thing is sure, however: the course looks very interesting, with a good variety of roads, some narrow, technical and rough, others much quicker”, he explained. Khalid Al Qassimi will be making his third appearance of 2018 in the C3 WRC and will be determined to pick up his pace in the car during the weekend. 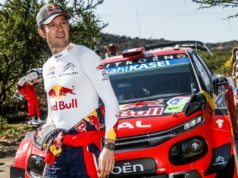 “I’m delighted to be back behind the wheel of my C3 WRC, especially at a new event. It’s always exciting to contest brand new stages for the first time, especially as we’re expecting fairly difficult conditions. I’ve always felt comfortable at events like this. I have some good memories of the Acropolis Rally, for example. It’s always a question of finding the right balance between pushing and looking after the car”, Al Qassimi said. At over thirty-eight kilometres, this is the longest stage of the weekend. “This rally is new for everyone, so all the teams and crews will start off on an equal footing. It looks set to be a very open race. 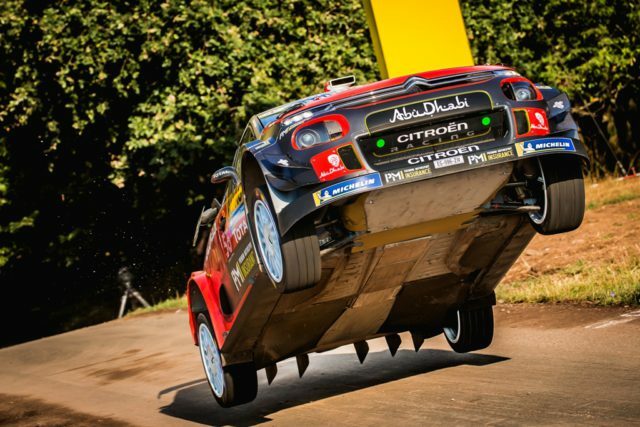 Reliability might be one of the key factors this weekend, but we know we can count on the strength of our C3 WRC. Although we have a solid base, we’ll need to adapt quickly to the conditions in any adjustments to the set-up”, Citroen Racing Team Principal Pierre Budar said.